The successful startup of Suncor’s Fort Hills oil sands project is a win for Alberta’s energy sector and the economy of Wood Buffalo as the province continues to create good jobs and lead the country in growth. 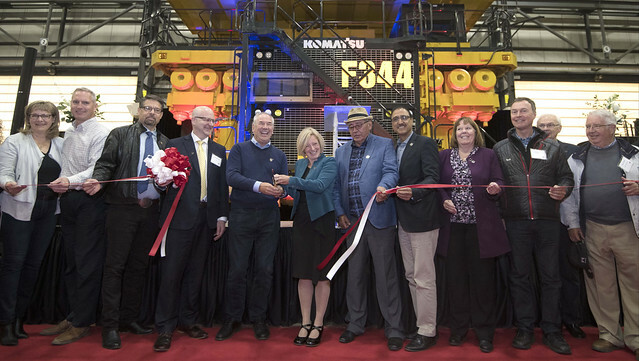 Premier Rachel Notley and Energy Minister Margaret McCuaig-Boyd joined Suncor officials, local contractors, First Nations leaders and other delegates to celebrate the grand opening of Fort Hills, a project which put 7,900 people to work at the peak of construction and is employing 1,400 people full time now that the facility is operational. Over the life of the project, government estimates that Fort Hills could generate $8 billion in royalties to the province, which help pay for the public services Albertans rely on such as roads, schools and hospitals. Fort Hills shows a commitment to Alberta’s world-leading plan to create jobs while protecting the environment. New extraction technologies focus on reducing the greenhouse gas emissions (GHG) intensity per barrel of bitumen produced. GHG emissions intensity of production at Fort Hills is currently on par with the average refined barrel in the United States. The project has a production capacity of approximately 194,000 barrels per day. The Fort Hills project is a joint venture between Suncor, Total E&P Canada Ltd. and Teck Resources Ltd. Suncor holds a majority interest in the Fort Hills project.